He wasn't impressed — but he felt so much better in his little towel afterwards. 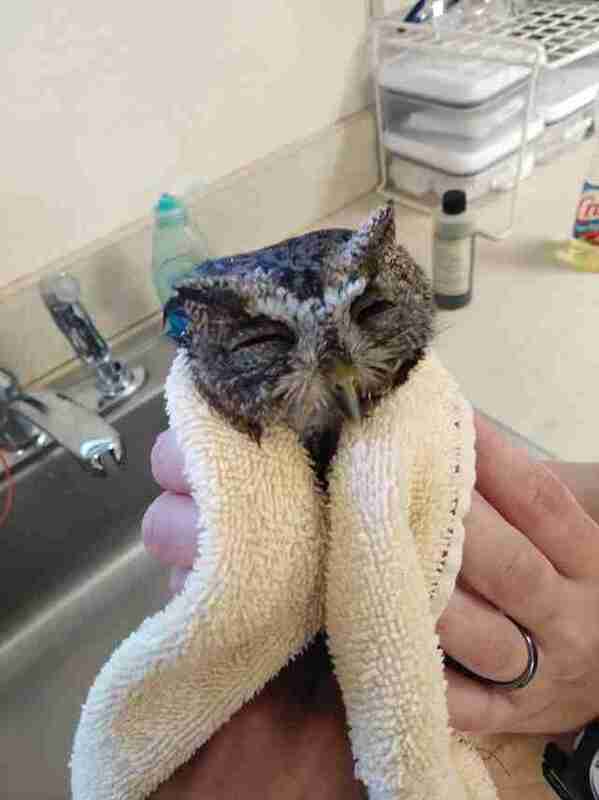 The screech owl had gotten himself into a very sticky situation. He’d landed in a glue trap and now he was stuck — he couldn’t move his feathers or feet, and he definitely couldn’t fly away. If no one found the owl, he would have died in there. But thankfully, someone saw him. 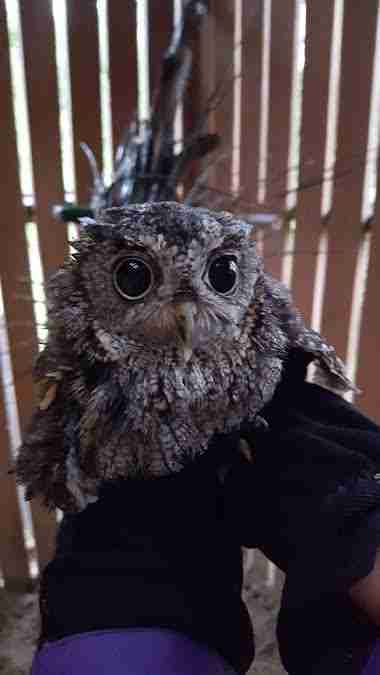 The woman managed to gently remove the screech owl from the glue trap and took him to Florida Wildlife Hospital where he could receive professional care. Fortunately, though, he hadn’t been injured. 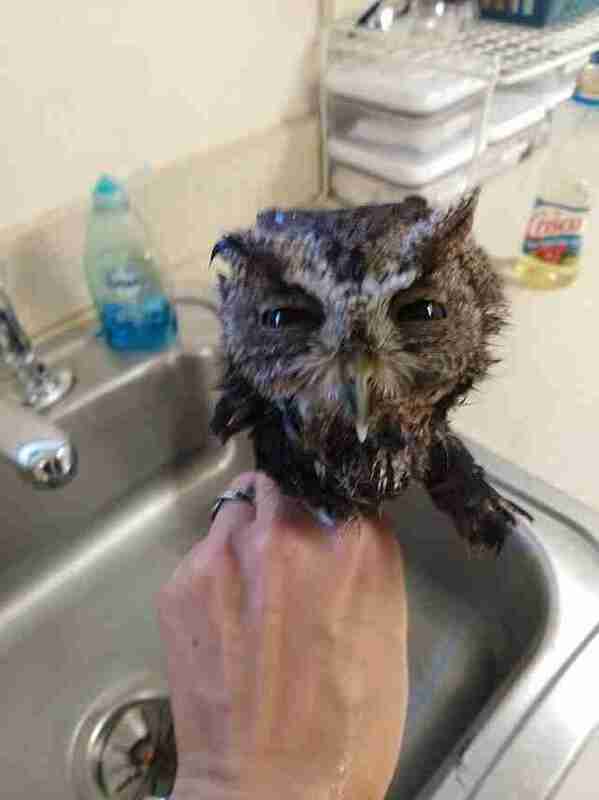 Before the owl tried to preen himself again, Gerspacher gave him a bath. 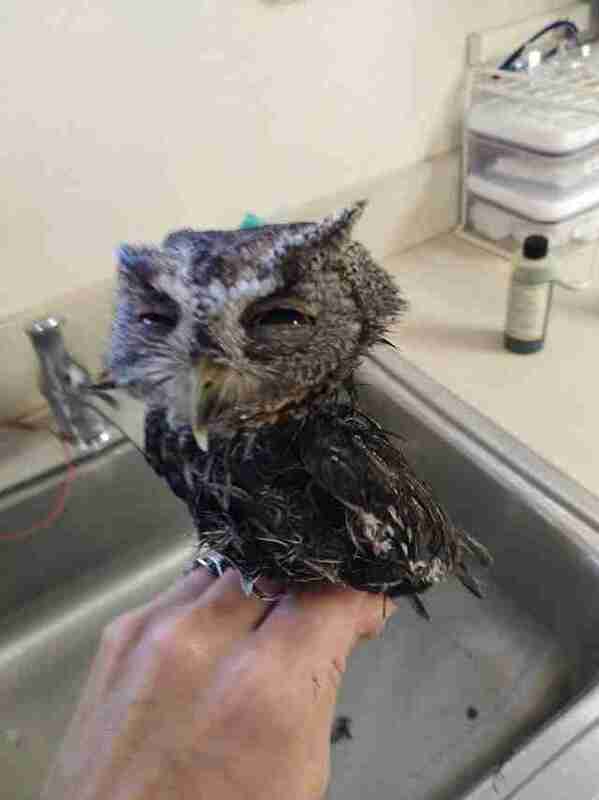 After getting a good soaking in oil, the caretakers bathed the owl with Dawn dish soap and water. While Gerspacher doubts the owl enjoyed any of this, she could tell that he felt better afterwards. But it was all worth it. The owl was eventually moved to an outdoor enclosure, where he could practice his flying — and he excelled at it. 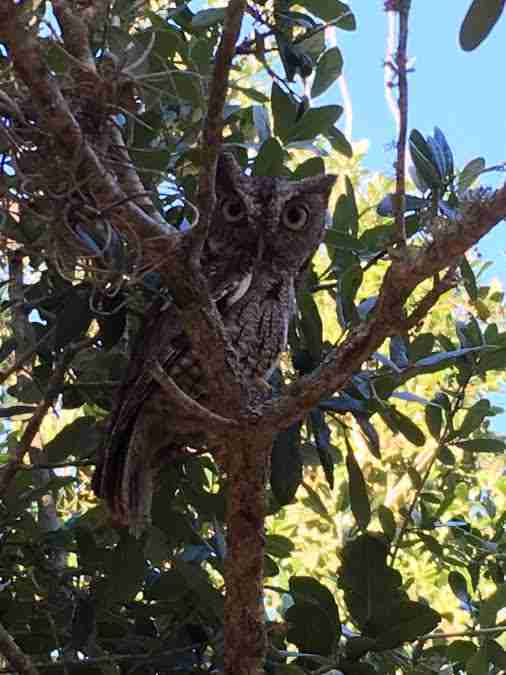 “He did lose a couple of flight feathers, but he proved to us that he was able to fly out in the screen owl cage and catch live prey,” Gerspacher said. 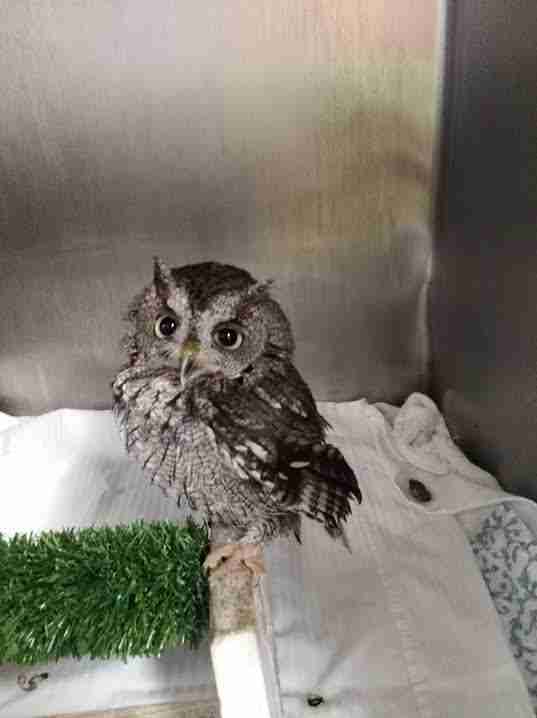 On Monday, the team released the owl back into the wild, close to where he was initially found. 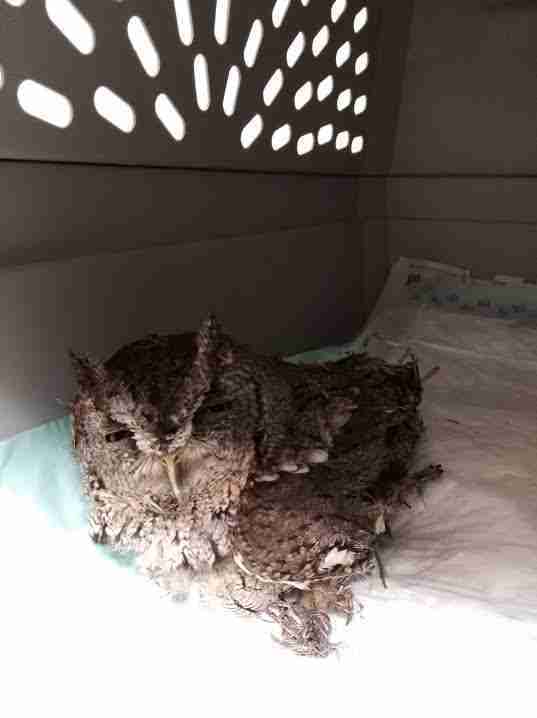 To help the Florida Wildlife Center rescue other animals, including owls, opossums and turtles, you can make a donation.